The main reason I setup this site was to do reviews of places we visit as a family but you could call it a blog as I write really about anything that interests me so you may find something of use. Open this post to see more about the site to read more To keep upto date with my site please follow us using various ways, read on for more info. 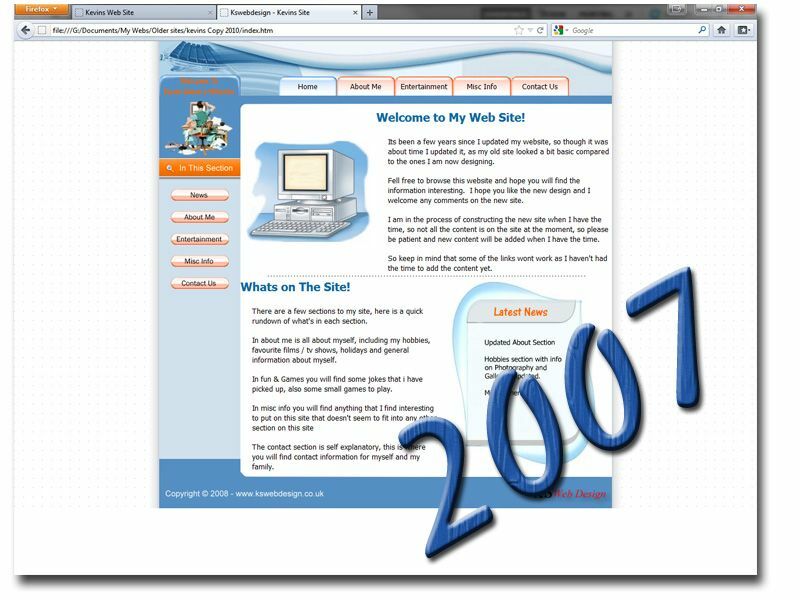 I have had a personal website since about 1998, the main use for the site at that point was to share info about the family and computer tips, as this was before social media sites like Facebook, twitter even myspace existed. I setup the site as around this time I started to do business websites for customers, so though would be a good idea to have a personal site to show off some of things that could be put into websites so really was a showcase for my work. I kept the site updated for about 5 years then because of personal problems really stopped updating it, up until the end of 2009 I occasionally did add content to the site but nothing major and over this time had several complete redesigns one included a fully flash based site. I also run two other personal sites one way to share my interest in the old commodore amiga range of pc’s called Amiga archive, this is now incorporated into this site HERE. Also a site dedicated to my photo galleries again now in this site HERE. 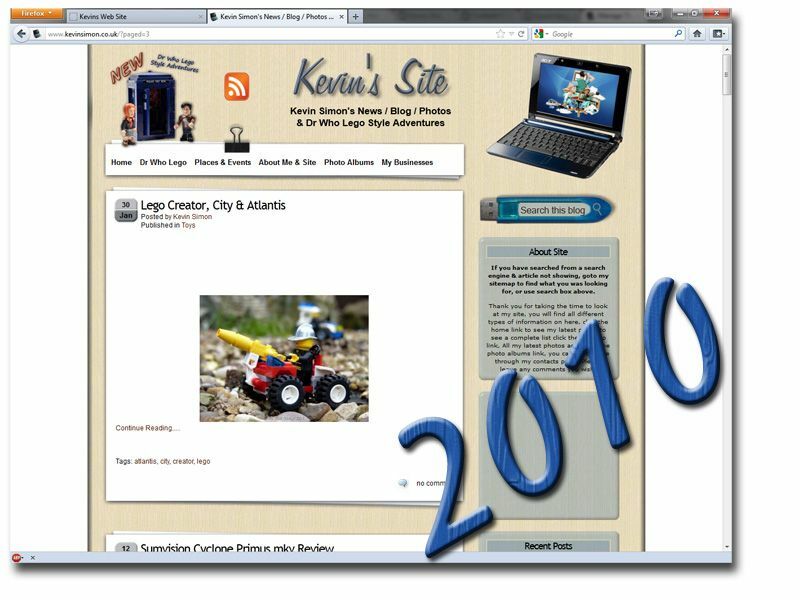 Then in early 2010 I decided wanted to add more content, before this point the site had been designed and programmed in HTML from scratch and because web technology had moved on it needed a complete overhaul and to incorporate other sites I had. I did think of programming a full website again from scratch but decided to use wordpress selfhosted software with a custom modified theme, as easier for me to update on a more regular basis, I know that being a web site designer it seems cheating to use wordpress, but this site was all about quickness to get new pages and info online as quick as possible without adding to a programmed menu systems, then adding custom links etc. So WordPress was the answer. So that could keep the site updated on a more regular basis. Up until early Feb 2010 the information was just copies of stuff that was off my old website with various info from some of my hobbies, holidays, photos, etc. Though at this point did take out alot of stuff that was either not relevant anymore, as well as family photos etc were taken off as we had Facebook for that now. 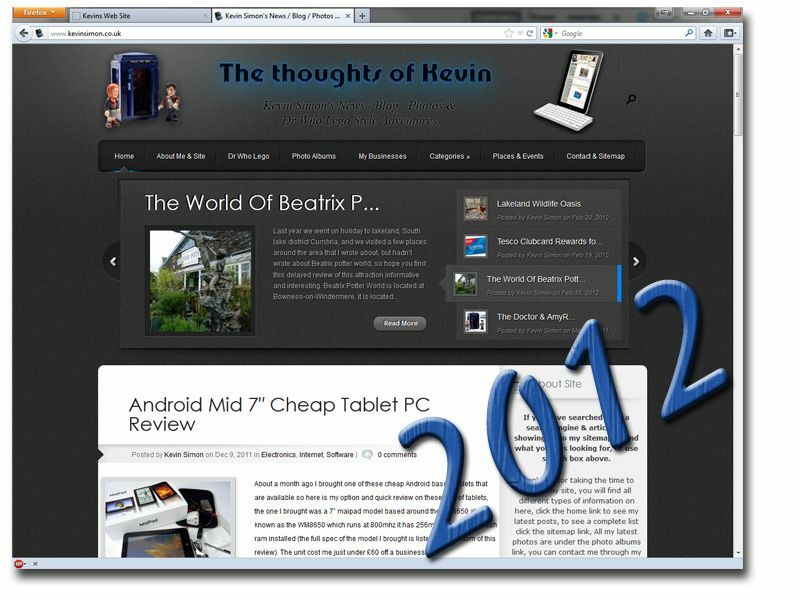 I wanted the site so that I could share my views on family days out and places that we visited, so everytime we went out and visited a place I would write about it, also started to do reviews on some gadgets etc I found that my site was becoming more popular which was great and did start to share my link to review sites, this was just using a short except of the article and then a link to my full review, I do this as it is a lot easier for me to update the article text if needed and change the photos in the galleries etc. Most of the sites I did this for was perfectly OK but one site in particular Ciao, this caused a lot of problems as was getting verbal abuse form members as should write the full article on there and shouldnt link to my site. The one thing you have got to think about some of these review site is that you can earn money from writing articles, at the time my site didn’t have any form of advertising on and when I wrote for the review sites I didn’t do for financial gain. 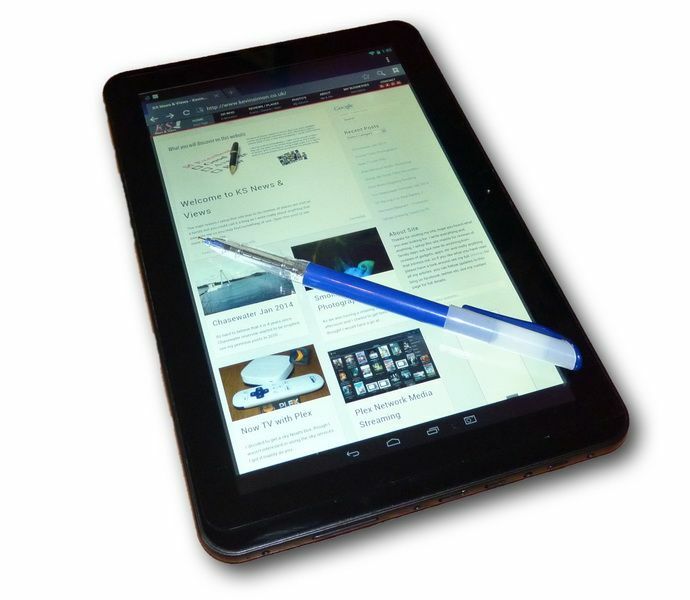 I write for this site to give a honest options on all the subjects I write about. I do now I have adverts on the site, this is using Google AdSense so I must state I don’t have any control on really what adverts appear though do try to make sure none are of a adult nature as like my site to be as family friendly as possible. I did this mainly just to cover the cost of hosting this site, to be honest don’t make that much money at all of this site. Now being a webdesigner I do make sites for financial gain as this is my business, but this site my is my personal site and just want to share tips and honest reviews, alot of my time is taken up for writing articles and really do this for free, though if you do see a advert that interests you click on it if you wish to support this site. In these three years the site underwent two major design changes, I used two heavily modified themes on this page are screen captures of designs of the site in this time. Though in the backend there was a lot going on using various plugins and modified PHP and CSS files. Remember if you run any self hosted blog like WordPress etc if you are doing any major changes to your site or even updating to the latest version. Make sure you make a back up of your SQL database and also copy the contents from your FTP. As if anything goes wrong you have a full backup to restore if necessary as think of all the work you have put into to site and you wouldn’t want to lose all that. Also In this time I decided to dedicate part of the site to the adventures of doctor who, this was using a character building micro figure of the Dr in all different locations. I decided to do this as there was quite alot of people doing the same with lego figures and I wanted to do something similar now I love lego and always have since a young child, but wanted to do something different and at that time the Dr who playsets and figures were released by character building which had the rights to all Dr who merchandise and better still these products were compatible with official lego bricks etc. This is a fun section for me to do and I really enjoy the photography part. Around the same time started to develop a photo blog of some of my more unusual photos, though moved this more over to Flickr, though in 2014 I am looking to bring this back to the site with info on how the photos were taken and edited. In late 2013, I looked at the site and needed it more easy to navigate and the design was now looking a bit bland. I looked at themes available and choose the pinboard theme, But it just wasn’t right it had parts that I wanted to have ie infinate scroll on homepage, so could see all my posts without having to click older or next page. So decided to edit the theme but this ended up being a bigger job than I though, I would have probably been better designing a theme from scratch, I made it so the navigation menu system stayed at the top of the page as you scrolled down, so you could easily look at other parts of the site quicker and make more friendly on mobile devices. Other changes including migrating where I host all my photo galleries, as before they were on picassa / Google plus, but now starting to use Flickr again for hosting the galleries I used to use Flickr alot even had a full pro account but then yahoo changed the way the site worked, this is better in some respects but not in others as browsing though the Flickr site is now a lot slower, but the benefits of using Flickr as more a social network site out weights this. Come 2014 I decided I would try to devote more time to writing for the website as really in 2013 I didn’t write to much and got behind on articles that I needed to write about places we had visited. So this year I will be writing alot more about places visited, tips on all different subjects, some of my views on current affairs etc etc. So if you find anything of interest and would like to follow for updates see below for details. If you would like to keep upto date with my posts. You can follow the site on Twitter, Facebook, Google+, Tumblr or email. For updates of photos I upload see Flickr, or can follow using a rss feed into any news reader with services like feedly, flipboard etc to add to these services you can use the rss link which is HERE. So I do hope you enjoy having a look around my site and you find something of interest to yourselves the same way I find things that interest me and then want to pass on my knowledge so if you do why not follow me for updates and don’t be afraid to comment or let me know your views, or if you think I maybe interesting in a subject that I could write about let me know as I’m always up for new things.